2.2 – What Kind of Bag? You can make a big impact on the lives of children and women, on the welfare of animals around the world! The idea here is to positively impact communities around the world by assisting travelers who want to take meaningful contributions to the destinations they visit. ▹ Ask the organization you will visit or volunteer with if they are associated with a specific charity/donation program. If so ask what they need explicitly (don’t be creative), and what is the best way to deliver those items to them. ⚠ Don’t assume that instead of traveling with a heavy item, it is easier to send it. Some of us made that mistake: We missed an opportunity once to donate a sewing machine to an African organization we were volunteering for. Upon arrival, we told them that we would send that machine by mail. But then the cost was so high (at customs) that it became prohibitive for both us and them to get this much-needed item. We had not thought about that! 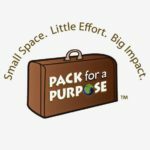 ▹ Check the Pack for a Purpose organization, select the country you are going to and see what the country might benefit from… Plan the delivery with the people of your tour company or volunteering mission, et voila! Easy as pie! Also, some airlines allow an extra baggage allowance if you are taking charity items so do ask the question to them! 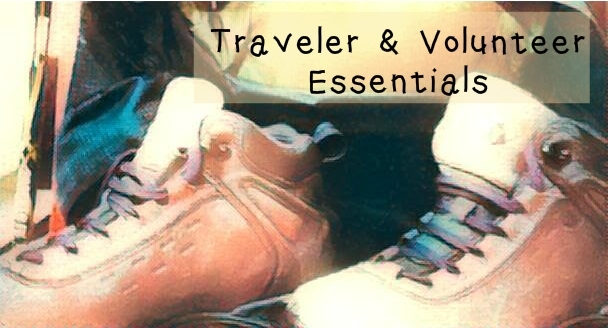 Travel light for environmental and practical reasons. Avoid the superfluous, go with the essential. Pack that bag once, then unpack, and halve your bag… you’ll end up still traveling with too much. It’s not a complete list and neither is it all a ‘must take all of it’ list. You need to understand and research what’s right for you and your comfort. Also, if you’re short on funds then why not consider second hand or re-purposed gear. We’ve bought from army and navy stores for anything from backpacks, jungle boots and clothes, and equipment! You can guarantee they are well made and usually cheaper. Of course, the organization you volunteer with normally provides a list of things you’ll need. And if they didn’t send a list to you then ask them, they surely will be more than happy to provide recommendations before you go. The must-haves: Passport – country visas (if applicable) – cash & credit cards – vaccination card (0r a copy) – insurance card. And keep your passport and money with you at all times (e.g., in a concealed travel pouch or alike). Besides the above, also make a copy of passport, bank cards, visas, project briefing, accommodation reservations, flight tickets, insurances, and contact information (including your embassy contact number and address) in both home and host countries. If you plan to drive outside your country and rent a car, then it is preferable to get an international driver’s license before you leave. Many foreign car rental services insist on one. – What Kind of Bag? ➢ A good backpack should be easy to carry and not strain your back. It should have good straps not just at chest height but at waist/ hip height to take the strain. ➢ Straps should be safe to tie up and not get in the way when it’s being transported on the flight. ➢ It should have a good canvas strength to protect your belongings and have internal ties as well. ➢ It should have a good structure/ backbone that’s molded to your size and back so it doesn’t dig in. ➢ You should be able to tighten and loosen it with ease. ➢ You should practice before you buy so that you check that it is easy to get on and off by yourself without straining or pulling muscles. ➢ Check what the local pavements and terrain are like –this will allow a judgment call on types of wheels(if any). Cheap wheels will get damaged. ➢ It needs to have easy straps so that you can carry it if you need to. ➢ It needs to be made of sturdy material. ➢ You’ll need a good one to take out and about with you to carry your essentials –bottled water; sunscreen; repellants; notebook and pen; basic contact details, etc. ➢ Does it have secure pockets inside so that you can carry cash and documents with you if there isn’t a secure place to leave them? ➢ Waterproofs are recommended or take small waterproof bags to put your things in. If you’re volunteering then they must provide a list of what types of clothing, and how much, you’ll need over there. Don’t take too much with you as you should be able to wash your own cloth onsite. Make sure you know the weather conditions on site, so that you bring the right type of clothing and can keep warm, cool off, dry depending on where you are at that time of the day. Also note that in some countries/seasons, weather can be hot during the day but temperatures can drop significantly overnight. ⚠ [African Savannah Tip] Zimbabwe in mid-year, for instance, can be as high as 25-30 °C in the daytime but down to -1 °C overnight and early morning. ➢ Hard wearing work clothes: trousers, shorts, t-shirts, a jumper, rain gear –not an umbrella, we mean some kind of raincoat or poncho (and note that ponchos are of no use in dense forests as they get caught in branches). ➢ Hard wearing walking/work boots. If you have space it may be worth taking 2 pairs in case one gets ruined or soaked in mud/rainwater. ➢ A pair of flip-flops or sandals for free time. ➢ Socks for work boots, long socks if you are in river areas or rainforest to protect you from leeches, thorns or bitey insects around your ankles. ➢ Headdress: A good sunhat that covers your neck as well as your face. As well as something to protect your face and glasses when it rains heavily (try to climb when you can’t see a yard in front of you because your glasses are dripping water). ➢ Work gloves: Choose ones that are hard wearing and tough. Another consideration is to check how thick the seams are and where they are –if there is too thick a seam running between the thumb and forefinger you’re likely to get blisters if you’re handling a shovel or machete. ➢ One or two easy items for going out to local bars/restaurants (just in case!). ➢ Needle and thread to repair any potentially embarrassing rips or stop rips from getting bigger! We also take a small square of cloth which can be used as a bandanna or cut up to make patches. Yes, we’ve had a rip near THAT place! Understand that some of your clothing is going to get ruined, torn in the process. ⚠ [Rainforest Tip] Keep a set of change in a drybag or sealed Ziploc, that you will open only on that last day of your trip when leaving the forest. Traveling in a set of dry cloth after spending weeks unable to keep anything dry is a real treat! You may not need to take anything as it’s all provided but you may choose to take a few extras in your backpack especially if you think you may have an opportunity for camping. If you don’t know if you will ever use one again just ask friends and family –they’re bound to have a few things that you can borrow instead of paying out for them. It also fits well with ‘Refuse’ and ‘Reuse’ principles to limit consumerism (and future waste). Check the weather and sleeping arrangements. Then if you need a sleeping bag, choose it wisely. Do you need a light summer one? Or are you going to scale Everest?. ➢ Women generally feel ‘colder’ than men, then you may want to buy a ‘women’s’ sleeping bag. They’re not just a gimmick as they have extra padding around the hip and bum area. ➢ A 3 or 4 season sleeping bag does not work the same in all countries. A 3 season bag for instance bought for tropical nights is too cold and thin for damp winter weather in the UK sleeping on the ground as the cold will seep in and your bag will be constantly damp. ➢ A down filled sleeping bag is generally thought to be best but again if you are going where there is high humidity, your bag will get wet and put on a tonne of extra weight and as above – it will be constantly damp unless daytimes are hot and dry. ➢ We also like to travel with a sleeping bag sheet liner. They are quite possibly the most undervalued items in the camping world. But lightweight and extremely packable, they add valuable degrees of warmth to your bag and play an invaluable role in hygiene. ⚠ We normally take a sleeping bag regardless to use as bedding on top of the bed and also as a-just-in-case! Mosquito countries normally have them anyway but if you’re not sure or are afraid of bugs in the night you might want to consider one to tuck around you. They are light so shouldn’t take too much space or weight in your bag. Get one that you can put up yourself from a hook or maybe has some inserts that stand them up away from your face and upper body. If you consider donating your net when you leave, please read about it in our health preparation section. You’ll need to take your own basic toiletries and laundry detergent. Think about unscented as you don’t want insects to love the way you smell! One thing to consider –unless you are going somewhere really remote for a long length of time– you can always replenish supplies out there. We’ve known a few people who’ve stocked as if they’ll be out there for a year and you really don’t need to… normally. ➢ An all in one shower and shampoo gel saves on space. We buy soap blocks and shampoo blocks from LUSH and take a small tin for transport – they don’t leak; they save on space and in fact their shampoo bars last for around 3 months. ➢ A microfiber towel or a small towel. ➢ Female hygiene products (Remember that our at home options may not be available abroad). ➢ Nail scissors and nail file. If you’re traveling in a group, share those items. ➢ Wet wipes – you may not be able to shower or wash every day so wet wipes are a good contingency. Whilst some say they are flushable or eco-friendly, be diligent in disposing of them as they have become a problem in clogging up sewers and are not necessarily biodegradable. Even more due diligence should be taken if in remote places/villages where pipes and systems are not set up for paper waste items. ➢ Pack of tissues (or a roll of toilet paper). In a lot of remote places toilet paper is not used by locals and the more hygienic ‘wash and go’ is in use. Normally paper is provided for westerners but always be prepared if you don’t want to go local. ➢ Washing detergent. Some people take a small supply of detergent but any shampoo or body soap are basically made of the same stuff. The soap blocks mentioned above are just as good. Check your local army & navy surplus store. They usually list fun items such as ‘pits and bits’ powders in case you really are stuck without running water! Avoid animal tested products. They are becoming fairly easy to spot as sites such as Peta provide blacklists and recommendations. Now going into the wild, a lot of areas would do better if we avoid using products that have harsh chemicals. Those chemicals pollute stream and rivers and generally endanger wildlife. So make the special effort to choose all your wash products like shampoos and soaps from the many eco-friendly lists available out there. Search the web using keywords as “cruelty-free”, “environmentally friendly” or “eco-friendly” shampoo / soap / shower gel. LUSH has been a favorite of ours as they don’t test on animals, have no chemicals and have stopped using palm oil in all of their products. Also, prefer unscented products. There’s nothing worse than feeling like you’re fresh and clean only to go outside and be an insect magnet because you smell like flowers! Make sure to take with you both Sunscreen and insect repellants where it applies. Make sure to apply those products with the health of the visited ecosystems in mind. For instance, Deet/permethrin found in many insect repellents harm watersheds and its inhabitants, and regular sunscreens that contain common chemicals such as oxybenzone and octinoxate are known to kill corals. As for mosquitoes: If you do choose to use DEET (and yes it can be a balance between eco-friendly or risking malaria), it’s easy to think 100% DEET will be great however it’s a poison. It probably will cause rashes, it will affect asthma sufferers and will ruin your clothes. 50% is the upper % we would be comfortable with personally. You can easily purchase a first aid kit online from any reputable outdoors company. They should minimally include: Bandages, Q-tips, eye drops, ear plugs, wet wipes, antibiotic cream, and medications for allergies, colds, and pains. Additionally, because we often travel in very remote areas (sometimes days away from civilization), we also bring along an epinephrine auto-injector used for the treatment of life-threatening allergic reactions known as anaphylaxis. We never had to use them, but if someone in our group revealed to be badly allergic to some insect bites, then this epinephrine auto-injector could save a life. Why do we even bother? We don’t even know if any of us are badly allergic, but it takes only once. We lost a friend like that. So we just carry it for the group, and we have been thanked quite a few times to have been that prepared for the just-in-case. ➢ Again that first aid kit. ➢ If you go in areas where water might be a problem, we strongly advise that you boil your water before consumption (even when it’s to rinse your mouth). You can also bring water purifying tablets. We always have some with us, in case we can’t boil water. ➢ Headlamp, torch, and batteries. And remember to have a red light option to not indispose wildlife at night. You can also have a UV light switch to spot critters at night (useful for seeing scorpions and such). ➢ Small swiss army knife – at your basic you might want to buy local fruits and this way you can peel them yourself and not worry about germs or unsanitized water. ➢ Compass. It would be better if you know how to use it. ➢ Whistle for alerting when you’re in danger or lost out in the field. Or to scare away when necessary. ➢ Spare phone. One for the group is enough if connections are available. Otherwise, there’s no point and the whistle will have to do. Not really a necessity for most of the items below (unless you’re all on your own), but if you’re anything like us and love looking at all the boy toys then have a look! ➢ An even better swiss army knife with wood saws, screwdrivers, and chisels! ➢ And for the wildest of us traveling in the most remote areas, a survival kit maybe –here is an example of one. Before you start packing them, first clean up your gears. What does it mean? It means cleaning thoroughly your shoes, hiking poles, working gloves, outdoors knives and other items that got in contact with soil and animals in your country or other countries. Why? Because the chances that you collected unknowingly species (seeds, tiny organisms, etc.) that can become invasive are high. Invasive species is one known big cause for biodiversity declines and extinction. And tourism has increasingly amplified this issue [MA15]. Don’t take it lightly. Just clean those gears meticulously. ▹ Working Gloves. Our general advice is to always travel with work gloves. They’re small and useful for both working and hiking. If you’re doing some hard work you don’t want to run the risk of blisters and cuts on the first day. Please don’t be that person who says “I didn’t know what to expect before I came so I didn’t think to bring any”. Do your homework. Working (especially gardening) gloves have another incredible use when hiking in tropical forests, jungles and such: They allow you to grab without too much of a second thought –you can quickly brush a venomous caterpillar, grab that liana when falling down without worrying about thorns or getting a rash from nettles etc., as you have a layer of protection between you and ‘it’. ⚠ Some of us at EwA, travel with both a pair of sturdy working gloves for hard work, and a pair of gardening gloves for hiking to sites when we go on missions in rainforests and cloud forests. An overkill? It has never been once! ▹ Hiking Pole. One is generally enough. It is essentially a 3rd leg. It’s a point of anchor when you’re about to fall on that slippery slope. A probing tool when you can’t see where you step (in swamps, in the jungle, etc.). It’s a hand when you climb that mountain and your colleague behind needs your help… Rainforests are extremely slippery, and hiking both with gloves as well as with a 3rd anchor to the ground is invaluable. We basically never travel without one. ▹ Wellies / Rain Boots. No point traveling with rain boots if you don’t need to: they’re heavy and use space in a backpack. Besides if you need them when working in rainforests, cloud forests or swamps (and such), most likely the organization might lend some to you. So why have them on this list? Well… A bad pair of rain boots that leaks and that you have to wear for 8 hours or more a day can be a nightmarish situation. Why? Well if you have an unusual size, the camp won’t have a pair for you. And then if you have a leaky boot and can’t keep your feet dry, parasite-prone areas, fungus infections can doom your stay. We’ve seen those and it’s not pretty. So when a mission does not call for them we don’t use them, but if it does then we travel with our own pair (and fill them with stuff in our backpack so that there is no wasted space). ▹ Binoculars & Scopes. In wildlife, we never are without a pair of binoculars. As true bird nerds, we travel simply with 8×42 or 10×42 binoculars. A birder’s tip: careful with wanting more magnification. It’s a beginner’s mistake! It comes with a loss of ability to follow an action. Birds and wildlife move around and if you’re too zoomed in then as soon as they move you lose them. So in short: brightness and field of view are far more important than magnification. Too much magnification makes binoculars useless. Keep in mind that binoculars that magnify an image eight times also magnify the small movements of your hand eight times. If you don’t own binoculars, then check The Audubon Guide to Binoculars –they offer good general pieces of advice. And, if like us, you like in-depth reviews of optics, then BBR (Best Binoculars Reviews) is just what you need. Have you ever tried to look at insects at a fairly close range with your birding binos? It does not work, right? BBR offers good recommendations based on use and interest. This came handy when we were looking for binoculars suited to watch the spiders in our small urban patio! We don’t travel with our scope, as it is weight to carry around. But you can if you’re willing too. It’s ideal for wildlife that does not move much and stay in place for bouts of time (check Birdwatching.com’s scopes options).  ▹ Cameras. Ethical wildlife photography is an important conservation tool for inspiring actions. But in this digital era, there’s no need for us to approach the topic of which camera is better (tech-wise). Others did it for us and better than we will ever do as for instance in Choose A Camera To Take On Expedition (and How to Keep it Safe). Besides you probably have your own ideas about it. But what we can share with you is what works and does not for us when working in the field. 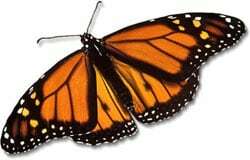 Some of us at EwA are involved with documenting wildlife for scientific studies for instance. We learned that there is a downside to having the most sophisticated camera equipment. You’re impeded by it when working in the field –because you have to carry it, you will worry about it and all the many lenses, you’ll have to remember to gather up all your parts. The tradeoff is having something more manageable while still have a quality-of-image. For years some of us traveled with an expensive DSLR and its full set of lenses, as well as a point and shoot. Most of the time, because the fieldwork was hours away from camp, we ended up leaving the camera behind and relying upon a point-and-shoot camera or a phone. And the pic quality was not that bad at all. Actually, a lot of our photos profiled on the EwA site were taken with a Canon PowerShot (a style of point-and-shoot). The point being that phones and point-and-shoot really work in the field. We also work with a bridge camera. That is a camera that ‘is’ fills the niche between expensive single-lens reflex cameras (SLRs) and the point-and-shoot camera. It is a versatile camera that allows for long range shooting, and macro without having to change lenses in rough conditions and while providing an increased level of image quality. Our bridge camera did wonders when we were roughing it up in Sumatra tracking wild orangutans high in the canopy with us on the ground (Here are a few field snaps). Don’t forget to bring spare batteries and memory cards! You don’t want to run out of power or space in the middle of an important scene. ➢ Sturdy Water Bottle. To carry around and drink from on a regular basis… And don’t forget those water sanitation pills when necessary. ➢ Headlamp & Torch. Make sure to have one with a red light switch to not disturb wildlife at night. Maybe even an ultraviolet one to see scorpions and other little critters that you might want to avoid by night in the jungle. ➢ Charger. Solar chargers, car chargers. ➢ Extra batteries. For your cameras, your torch, your headlamp and anything that holds a battery which you travel with. ➢ Dry bags (or Ziplocs) and dry boxes. To keep things dry and safe from critters and inclement weather. ➢ A sturdy garbage bag (or 2). To use as a poncho, to protect your backpack and finally use to carry your garbage down and back with you. ➢ Games & books. For those long nights in the wild, away from anything, games (cards) and books (go digital to not have to carry ‘paperweight’). Always always travel lightly! We mean it! Why? First, for environmental reasons, that is to reduce our travel carbon footprint: It takes fuels to transport that pack to that destination and therefore is not environmentally cheap. But it is also a good recommendation for practical reasons: someone is going to have to carry that pack. One good packing rule for those who volunteer in remote places with no road access (as we did quite a few times at EwA) is to pack as if you will carry that pack all the way. Because most likely you will unless there is a mule that can help you. Then quickly it becomes clear that every ounce counts. And try to not rely on having others carrying your stuff for you either (even that poor mule), primarily out of courtesy, respect & care. One good way to evaluate that pack is: A few weeks before leaving, pack it as if you were going tomorrow, and trek with it for a good long hike –one that simulates the conditions in which you’re going to carry that pack. Carrying an 85l backpack on the steep cloud forest mountain slopes when it pours is no joke. ➢ balance the weight equally, otherwise, your body/muscles will be pulled out of kilter as you carry it. Many pro websites have great pieces of advice on how to pack your backpack. Here is one of our favorites: REI Tips for How to Pack a Backpack. ➢ Attach a brightly-colored piece of fabric to the handle for quick identification. ➢ Clip a sturdy badge on each of your bags and use your business address rather than your home address. ➢ Most baggage comes with locks these days. But these tend to be flimsy and are easy to break. You can use electrician ties instead. These can be found at home improvement stores. They’re very tough, and if they’ve been cut off, then you will know that someone has tampered with your luggage. ⚠ Now note that airport security can be tough and break these locks regardless. This happened countless times to us because we often travel with an outdoor knife for working in the field. So what do we do? We gave up locking the bag in which our outdoor/field knife is (and which unmistakably raise security attention). Instead, we loosely secure the zippers and make sure that nothing of value reside in those bags.